So what's all the fuss about "My Little Pony"? With most other fantasy programs, like "Game of Thrones," relying on violence to tell a story, "My Little Pony" can feel like a peaceful reprieve. Or maybe it's the show's mystical focus on social anxiety, mythologizing our everyday struggles and allowing viewers to evaluate themselves. Oct. 6 will see the release of "My Little Pony: The Movie," featuring the voices of Emily Blunt, Kristin Chenoweth, Taye Diggs, Sia and Uzo Aduba, to name just a few. 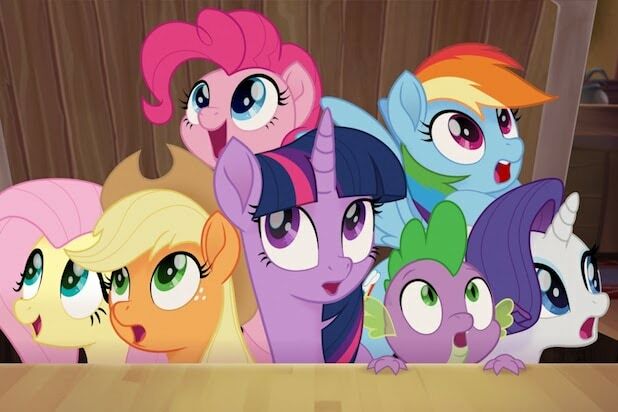 But the many devotees of "My Little Pony" (guys are known as "bronies," while the girls are "pegasisters") and the show's 169-and-counting episodes (of the "Friendship Is Magic" iteration, which launched in 2010) might leave outsiders overwhelmed. Here's a guide to the ponies' 10 greatest adventures for anyone looking to breeze into the equestrian world of "My Little Pony." 10. "Keep Calm and Flutter On" (S3E11) Princess Celestia (voiced by Nicole Oliver) liberates chaos spirit Discord (John de Lancie) and tasks demure pegasus Fluttershy (Andrea Libman) with the job of reforming him, beginning a companionship between Fluttershy and Discord whose ups and downs would play out over multiple seasons. 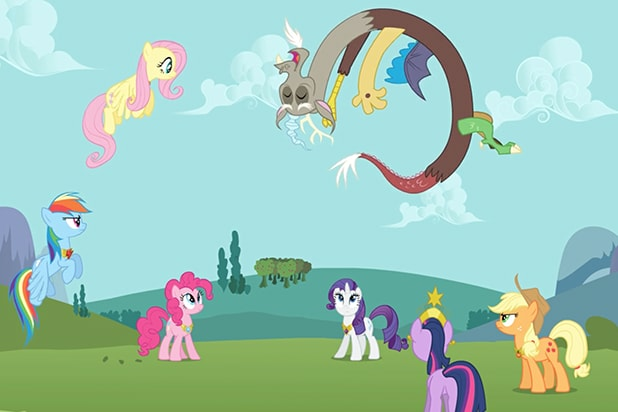 (If Discord seems similar to Q on "Star Trek: The Next Generation," that's because both are played by de Lancie.) Fluttershy is forgiving but calculated in her rehabilitation methods, showing Discord that friendship may be magic, but it’s not necessarily unconditional. 9. "Simple Ways" (S4E13) Hipster photojournalist Trenderhoof (Doron Bell) comes to town, and chic unicorn Rarity (Tabitha St. Germain) is desperate to impress. But instead of falling for Rarity’s high-end aesthetic, Trenderhoof finds himself head over heels for Applejack (Ashleigh Ball) and her rustic farm-pony vibe. 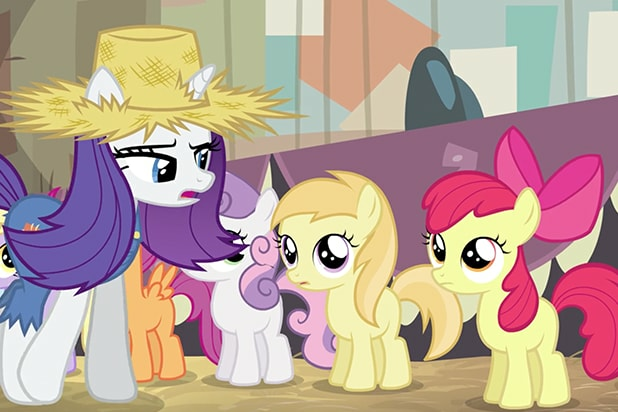 Rarity responds by pivoting into bumpkin stereotypes, donning frayed overalls and a laughable Southern accent. It’s an acute episode that reflects on authenticity in a pony world that can be just as image-conscious as our own. 8. "The Times They Are a Changeling" (S6E16) The changelings, a race of shapeshifting insects, were depicted as monolithically villainous in earlier appearances, so it was almost necessary for a storyline where not all changelings are dangerous. Timid changeling Thorax (Kyle Rideout) makes unlikely friends with pony cohort Spike the dragon (Cathy Weseluck), but Thorax struggles to adjust to an allegedly friendlier culture. Spike’s “A Changeling Can Change” song is a little corny, but it’s worth it to see ponies look a little harder at their prejudice. 7. "The Last Roundup" (S2E14) This episode shares its name with a mournful country-western tune about a cowboy’s departure to heaven, and escape is also the subject matter here. Country mare Applejack heads to the Equestria Rodeo to win money for a new town hall, then disappears for reasons obvious to anyone but her pony friends. While many episodes concern horses nervous about an upcoming event, "The Last Roundup" is about coping when you think you’ve failed. 6. "The Cutie Map," Parts 1 & 2 (S5E1-2) Who would’ve thought a two-part "My Little Pony" episode would resemble "1984"? Fascist unicorn Starlight Glimmer (Kelly Sheridan) uses the Staff of Sameness to convert ponies’ cutie marks (the symbols on their sides) into drab equal signs in the name of “equality.” It’s up to the main six ponies to embolden free will in this Hugo Award–nominated tale. The moral? Working together in friendship doesn’t mean that everybody can’t be themselves. 5. "My Little Pony: The Movie" (1984), aka "Rescue at Midnight Castle" "My Little Pony"'s 1984 TV debut is the only entry on this list not from the newer "Friendship" is Magic series, but it makes the cut thanks to its influential rainbows-in-darkness storyline. It features debut appearances from popular ponies like Applejack (voiced here by Sandy Duncan) and Twilight Sparkle (Laura Dean), and the redemption of the gargoyle Scorpan (Ron Taylor) is perhaps the root of one of the series' most recurring messages: Some enemies are just friends you haven't made yet. 4. "The Cutie Mark Chronicles" (S1E23) A must-see starting point for anyone new to the world of "Pony." This episode connects the radix of the ponies' cutie marks with an efficacy surpassing many superhero origin movies -- and it's only 22 minutes long. "The Cutie Mark Chronicles" is the moment when "Pony" asserted itself, establishing the world of Equestria as a rich, self-aware fantasy landscape meant for more than just a toy line. 3. "Sonic Rainboom" (S1E16) Most episodes of "Friendship is Magic" are plunges into social anxiety, but "Sonic Rainboom" takes its unease to an edgy limit. Speedster pegasus Rainbow Dash (Ashleigh Ball) starts off nervous about a flying competition; by episode's end, she's trembling in the fetal position. We also get insight into the aerial Pegasus city Cloudsdale, and the story finishes with an explosive rescue that earned Rainbow Dash respect from cartoon nerds across the spectrum of the internet. 2. "A Friend in Deed" (S2E18) Cranky Doodle Donkey (Richard Newman) moves to Ponyville, and bouncy Pinkie Pie (Andrea Libman) is desperate to cheer him up. Sounds like light stuff, but this cartoon has pathos. Pinkie’s meddling drags Cranky’s grizzled loneliness into the spotlight, and his profound pain (and some plot twists) makes the inevitable happy ending surprising. We also get the ceaseless joy of Pinkie’s “Smile Song,” which recalls outsider songwriters like Daniel Johnston or the Polyphonic Spree. A singular, timeless slice of "Pony." 1. "Twilight's Kingdom," Parts 1 & 2 (S4E25-26) The ponies take on omnipotent centaur Lord Tirek (Mark Acheson) in a blaze of camaraderie, grace, and resplendent multi-colored manes! Masterfully wrapping up interwoven plot lines from season 4 and beyond, "Twilight’s Kingdom" draws on lore from the earliest days of "My Little Pony"; don't watch this two-parter by itself. Closing song “Let the Rainbow Remind You” delivers perhaps the most concise explanation of Pony philosophy: Together we will always shine.